The large chalet apartment ‘Camarine’ is situated on the first and second floor in the traditional chalet building ‘Chalet Fruitière’ – right above to the apartments ‘Astragle’ and ‘Bernardie’. 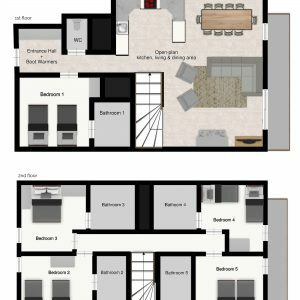 The entrance is situated on the first floor and leads into an entrance area with boot warmers and storage, a downstairs WC as well as a spacious open-plan kitchen, dining and living area. This makes Chalet Camarine perfect for families and groups alike to socialise around the roaring fire! From the living area you can access a large south facing balcony that’s ideal to enjoy a few drinks in the afternoon sun whilst overlooking the surrounding mountains. The ski apartment is well equipped for up to 10 people in 5 bedrooms all of which have an en-suite bathroom! Chalet Camarine could be the perfect ski get-away for you and your family & friends! This fantastic ski-in ski-out location offers you a lot of flexibility! 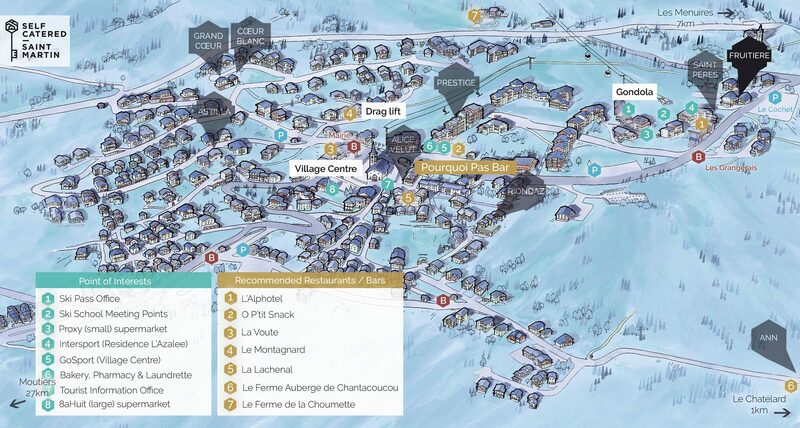 All necessary facilities such as the main gondola, ski pass office, rental shops, ski school meeting points, the beginner slopes, a couple of day-time restaurants/bars as well as a small supermarket are situated on your doorstep – You couldn’t ask for more! The village centre can easily be reached on foot in less than 10 minutes. It’s a nice stroll through the village. There you can find most night-time restaurants and bars, a larger supermarket, the tourist office, further shops and a fantastic bakery! The prices above allows up to 10 people in the ‘Camarine’ apartment.